If you are looking for a site that offers top quality gaming options, excellent customer service, and a range of enticing promotions, then you need look no further than Queen Vegas. Don’t be fooled by the title, this isn’t another generic Vegas site, in fact, this is one of the best sites you will veer visit, and this is true for a range of reasons. Shades of brown create a stunning and unique design theme here, and navigation across the site could not be any easier, Queen Vegas immediately feels customer focused, and that’s a nice feeling. 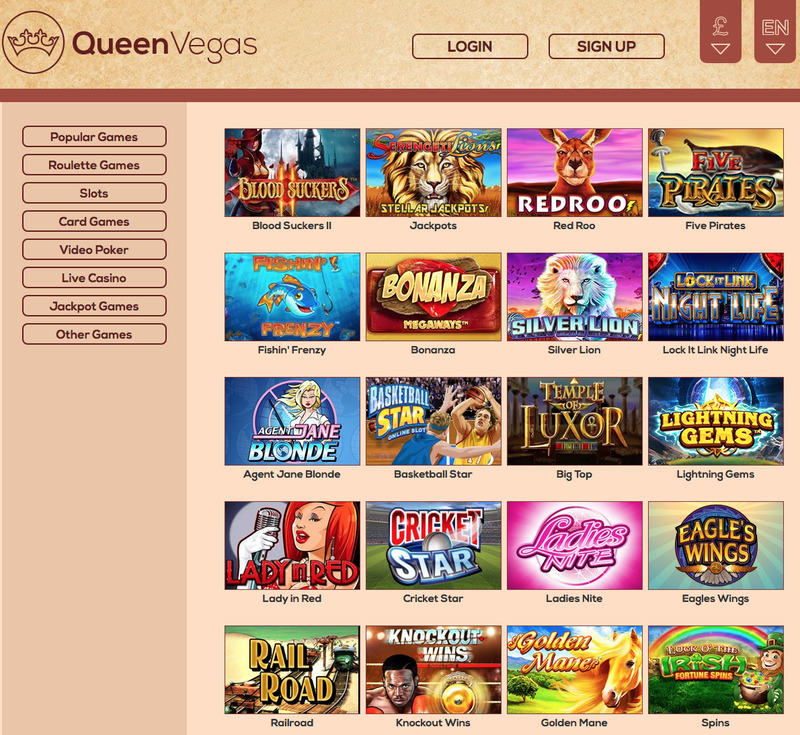 Queen Vegas offers games from Skill on Net, NextGen, WMS, WagerWorks Software, Saucify, WGS Technology, NetEnt, Cryptologic Software, Barcrest, lightningboxgames, Bally Technologies, and Aristocrat, so you know you’ve got a lot to look forward to. If you’re a slots fan and you like new releases, you’ll find the likes of Secrets of Atlantis, Aloha! Cluster Pays, When Pigs Fly, NRVNA, and more. If you prefer the more tried and tested titles, you’ll find those here too, but it is with its new releases that Queen Vegas impresses the most. If you prefer card and table games, you’ll find them in abundance too, with many forms of poker, blackjack, roulette, and more, many of which are playable in Queen Vegas’ excellent live casino. Seriously, just give this site a go, you are certainly not going to regret it! Game: Starburst. Free Spin value: £1 per spin.